Stopping oil exploration would help protect the climate. And it will happen soon anyway. The environmental group Cook Inletkeeper filed objections to an oil lease sale in Cook Inlet this past week because new finds could contribute to the climate change that is transforming the marine ecosystem. Here in Alaska, where oil has contributed so much money to the economy, these were gutsy comments to make. They imply we shouldn’t look for oil anywhere, a radically unpopular concept. Lt. Gov. Byron Mallott said Friday the state administration has been working on a climate change policy for more than a year and he hopes for Gov. Bill Walker to issue a multipage administrative order within two months. He said that work takes into account the approaching end of the oil era — but added the state won’t halt oil lease sales any time soon. Oil, gas and coal release carbon dioxide that traps the sun’s heat in the atmosphere and increases acidity in the ocean. Policies to slow carbon emissions must reduce their use. Oil companies have begun grappling with the fact that less than half their current reserves can be burned if last year’s Paris climate agreement is to work as intended to hold down the increase in global average temperature. On Tuesday, Simon Henry, chief financial officer for Shell, the world’s second-largest oil company, told a conference-call audience demand for oil will begin dropping permanently in five to 15 years, according to an article in World Oil. He said the company will make money instead by producing more low-carbon natural gas and renewable energy. Shell’s business decision puts it in line with predictions of financial and scientific analysts. But the comments by Bob Shavelson, of Homer-based Cook Inletkeeper, bring the issue home in way many Alaskans have been unwilling to accept. 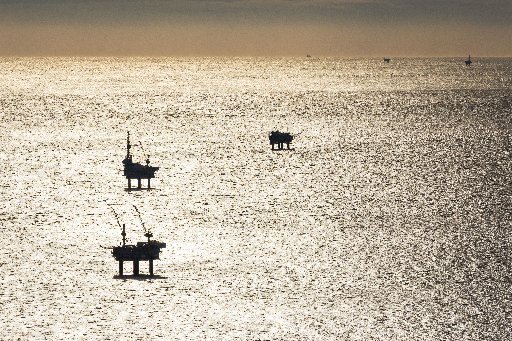 The Alaska Division of Oil and Gas is considering an 4.2 million-acre lease sale for the Inlet next year. Alaska’s laws require state officials to make a “best interest finding” that determines lease sales are good for Alaska. The comments by Shavelson’s group and the Kachemak Bay Conservation Society argue that’s not true anymore. “The most recent monitoring of climatic trends indicates Alaska is suffering the brunt of global warming,” Shavelson wrote, listing the loss of sea and glacier ice and permafrost, changes in vegetation, warming salmon streams, and, in the ocean, warm temperatures linked to die-offs of bird and sea otters and acidic water that threatens shellfish and other invertebrates. “Expanded oil and gas leasing, which will make it more difficult to rein in climate change, is not in the state’s best interest,” the document says. The comments could lay the basis for a future lawsuit. Alaskans often argue that if we don’t produce oil, someone else will. But while that may be true for oil that has already been developed, it’s not a good argument for investing in exploration and development of new oil the world doesn’t need. Earlier this year, a study by the Stockholm Environment Institute found that stopping future oil leasing by the U.S. government would be an effective climate change policy. Mallott said he and Walker began talking about climate change and the end of oil when they ran for office two years ago. Mallott said his discussions on climate change have included high-level talks during President Barack Obama’s visit last year, trips around Alaska, and meetings with Canadian national and provincial officials. The administration is working on two different drafts of an administrative order setting out policy on the issue. But the market may be moving faster than policy or expectations. Large investors are pressuring the major oil companies to take oil reserves off their books — reducing their assets — if that oil is improbable to be produced because of low prices and a changeover to renewables. BP and Shell decided last year to publish an annual estimate of the financial impacts of climate-change targets, according to the Financial Times. Exxon and Chevron resisted, but last week Exxon announced it would write off 19 percent of its proven reserves unless prices rise by the end of the year. If trends go as experts predict, companies and regions will compete with a resource that is in progressively less demand, with some winning and some losing. A 2015 study by scientists from the University of College of London, published in Nature, looked at the world’s known reserves of oil, gas and coal and analyzed which were likely to be burned and which were not. Their results gave U.S. oil and gas a relatively better chance than petroleum from some regions, but resources that are hard to reach did not get used in their model. They predicted Arctic oil will remain in the ground, as confirmed by Shell’s abandoned Arctic Ocean drilling last year. Alaska has financial and moral decisions to make. Financially, we need to develop our huge renewable energy potential and stop hoping new oil will save us. Morally, we should accept our responsibility for climate change that is so damaging to our precious ecosystems.